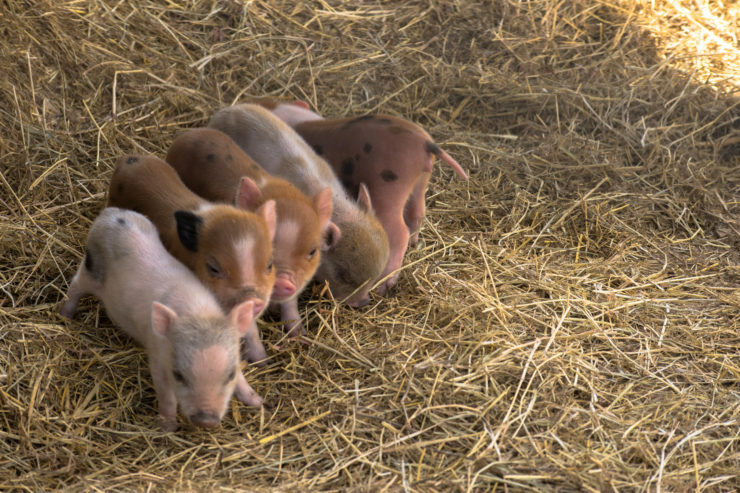 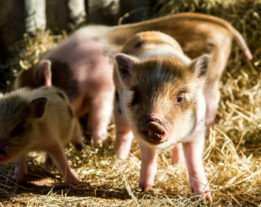 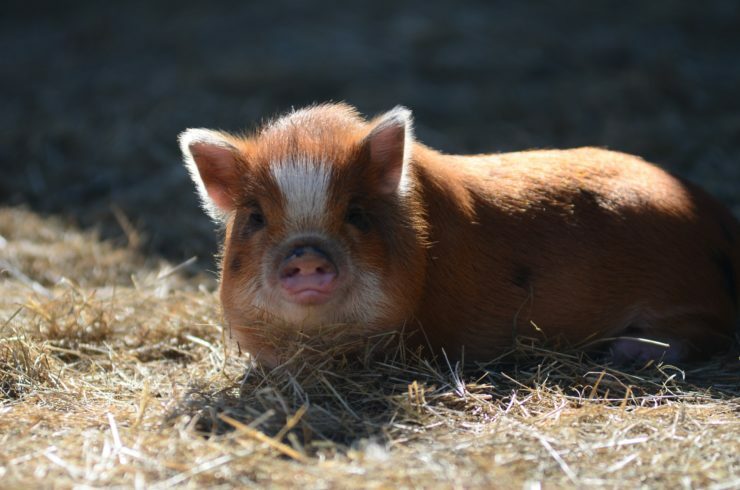 Though pot-bellied pigs are tiny when first born, this breed of pig are about the size of a medium or large-breed dog and reach up to 200 pounds! 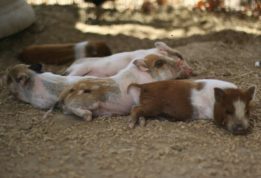 They also have a snout that is composed of cartilage which provides the pig with an excellent digging tool and allows them to rut and forage. 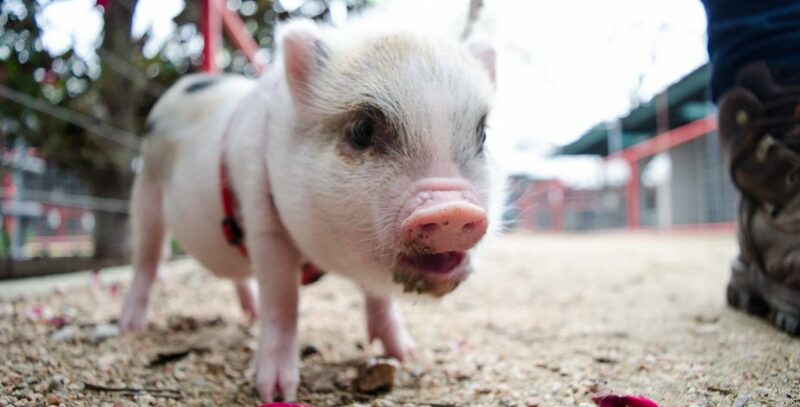 The pot-bellied pig is also extremely intelligent, some have even been trained to perform tricks. True pot-bellied pigs do not have corkscrew tails! This species of pig has a straight tail— if the tail is curly, it shows that it isn’t full-bred.